Carved silver paisley wedding band ring made with pure .925 sterling silver. The band measures 4mm wide and approx. 2mm thick. This unique carved paisley ring is also available in 14k white gold or two-tone gold, shown below. 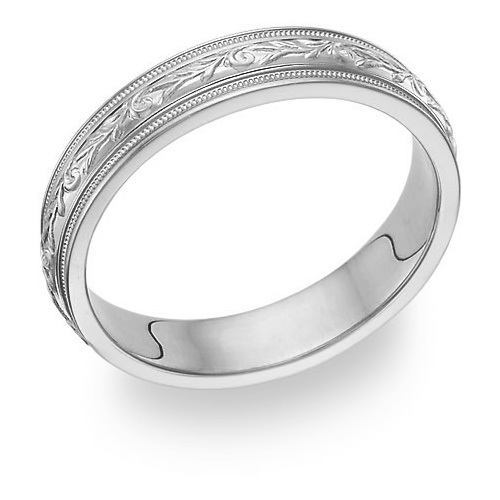 We guarantee our Carved Sterling Silver Paisley Wedding Band Ring to be high quality, authentic jewelry, as described above.